The Burberry Prorsum Ready-to-Wear collection was unveiled once again during the 2011 London Fashion week.Models walked the runway in trench coats, mid-length skirts and drape dresses. 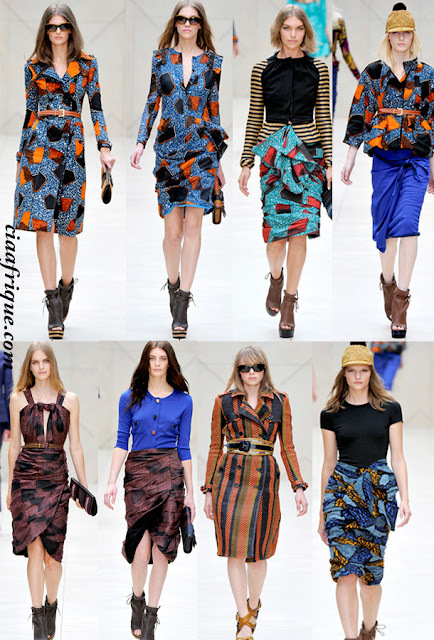 As much as I have mixed feeling about the west capitalizing on African print ( we don't own it I Know !!!) There is nothing cuter than on of those trench coats this Fall.